I suppose only a tiny fraction of my regular blog readers are aware, or have read, a Japanese "light novel." Light novels are targeted at high-and middle school aged readers (i.e. Young Adults) and have an average length of fifty thousand words with the distinguishing characteristic that the books are illustrated with manga artwork depicting various scenes or characters from the story – naturally our beloved detective story is fairly represented in light novels. Some of these light mystery novels have been translated into English. Zaregoto series: kubikiri saikuru (Zaregoto: Book 1: The Kubikiri Cycle, 2002) by the pseudonymous "NisiOisiN" is an extremely odd, but very good locked room novel, with apparently impossible decapitations on a small, isolated island in the Sea of Japan. Kazuki Sakuraba's Gosick: Goshikku (Gosick: The Novel, 2003) and Gosick II: Goshikku: Sono tsumi wa na mo naki (Gosick: The Crime That Has No Name, 2004) is set in antebellum Europe, which is laced with Ruritanian aesthetics and the series has an impossible crime or two. The Crime That Has No Name was actually somewhat reminiscent of a Paul Halter novel (c.f. The Demon of Dartmoor, 1993). I'm sure these series convey very little to most of my readers, but during the late 1990s, Kodansha published a quadrilogy of light novels part of detective series most of you should be aware of by now. 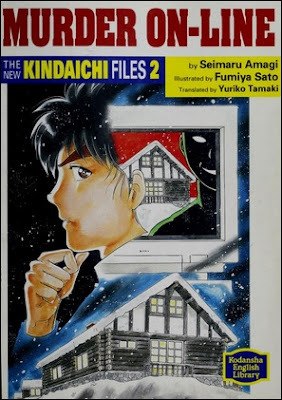 The Kindaichi Case Files is a long-running manga series that has spawned numerous anime adaptations, live-action TV series, video games and nine light novels, which were penned by Seimaru Amagi – who's responsible for some of the best stories in the manga series (e.g. The Prison Prep School Murder Case and The Rosenkrauz Mansion Murders). These light novels were illustrated by the original artist of The Kindaichi Case Files and Detective Academy Q, Famiya Satō. The four books that were translated into English are Opera-za kan arata naru satsujin (The New Kindaichi Case Files, 1994), Dennō sansō satsujin jiken (Murder On-Line, 1996), Shanhai gyojin densetsu satsujin jiken (The Shanghai River Demon's Curse, 1997) and Ikazuchi matsuri satsujin jiken (Deadly Thunder, 1998), but copies have become increasingly rare over time. And expensive. So maybe its time someone reprinted them in an omnibus edition, because Murder On-Line proved to be a pure, plot-driven detective story with an ingenious alibi-trick worthy of Christopher Bush and Agatha Christie. A trick that made the story a quasi-impossible crime novel, but not close enough to label it such. Murder On-Line is a mystery novel reminiscent of Yukito Ayatsuji's Jakkakukan no satsujin (The Decagon House Murders, 1987) and Peter Lovesey's Bloodhounds (1996), in which "a group of crime and suspense fiction fans" from a chap-group, the On-Line Lodge, meet each other offline at an isolated, practically deserted mountain ski-resort, Silverwood Lodge – they only know each other by their online aliases. The names they picked for themselves are "Agatha," "Watson," "Ranpo," "Patricia," "Sojo," "Spenser" and "Sid," but one of them has a third (secret) identity. An identity simply known as "Trojan Horse" and this person has murder in his or her heart. 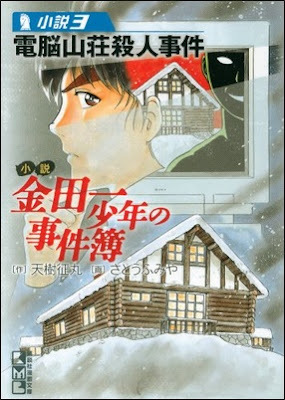 Hajime Kindaichi and Nanase Miyuki end up Silverwood Lodge after getting lost in the snowy mountains, but when the group of mystery fans learn Kindaichi is the grandson of the celebrated detective, Kosuke Kindaichi, they insist they stay the night. And a blizzard effectively strands them there. Kindaichi and Miyuki are the unknown quantity introduced in the murderer's carefully planned scheme, but "Trojan Horse" merely sees them as “a minor bug” in the program that can be handled. Only "two more characters" who showed up to play the game. The first murder is committed that very same day, but everyone has an alibi: "Agatha" was being intimate with "Ranpo." "Patricia," "Sid" and "Watson" were having an online conversation when they were in their private cottages, which can be proved with chat-logs. Kindaichi and Miyuki were together. There's "an alibi for everyone." Kindaichi describes the murder as an impossible crime, because it was committed in "an isolated lodge" with all of the suspects alibied. However, as good as the alibi-trick is, it doesn't meet my qualifications to be regarded as either a locked room mystery or impossible crime. Back in 2017, I posted a comment to a blog-post by Dan, of The Reader is Warned, entitled "But is it a locked room mystery? The case of the impossible alibi," which asked if an alibi-trick can be considered an impossible crime. My answer is that an impossible alibi can't solely relay on eyewitnesses or physical pieces of evidence (i.e. train tickets), but murderer should appear to have been physically incapable of having committed the crime. For example, the murderer was in police custody or appeared to have been wounded/hospitalized (e.g. Mr. Monk and the Sleeping Suspect, 2003). There must be a serious physical limitation placed on the murderer and Christie wrote a rather well-known detective novel that used this kind of impossible alibi to perfection. This was simply not the case here and the alibis fall apart when you consider two, or more, people working together. The chat-group alibi is not exactly rock solid either, because they all had laptops and the murderer could have been chatting from the victim's cottage. The group could even have suspected the two outsiders, Kindaichi and Miyuki. Something that was not considered or even mentioned in the story. And the clueing was a bit scant. The solution is still hinted at, but not as strong as in the best stories from the anime or manga series. However, you can probably blame the light novel format for that. Amagi didn't had the space to craft an ingenious plot like the one from The Prison Prep School Murder Case. Let alone to throw out too many complications or red herrings. I should also note here that the last murder is quasi-locked room: a member of the chat-group was barricaded inside a cottage, but the murderer squirted two different liquids underneath the door into the cottage, which formed a deadly cyanide gas – giving the victim just enough time to leave behind a dying message. Technically, you could qualify it as a locked room crime, but it was never treated as such in the story. By the way, this is not a spoiler. The murder is shown to the reader. So, Murder On-Line is not a locked room novel, but, as a traditionally-structured whodunit, it was brilliantly handled with an ingenious alibi-trick. The prologue gave us a glimpse of a perfect crime that was actually, well, perfect. A crime so perfect, it required private revenge to rectify it. An all too common theme in the Kindaichi series and they have done this motive to death, but the back-story to the murders was very detailed here. Usually, the series uses this motive as nothing more than to create incredibly and ambitious murderers. But this one was very well done. You can almost understand why the murderer planned on leaving six bodies at the mountain lodge. Naturally, Kindaichi can't allow "Trojan Horse" to take out everyone in the group and not only has to demolish the murderer's carefully staged alibi, but has to separate everyone online identity from who they really are. And has to interpret such clues as the previously mentioned dying message and a body found buried in the snow behind one of the cottages. I particularly liked how the chat-group and early internet (culture) were woven into the scheme of the overall plot. Once again, it's a perfect example of modern technology can be incorporated in a traditionally-styled detective story. More amazingly, the book was published in 1996 and this makes it a far-sighted story as far as internet culture is concerned. So, all things considered, Murder On-Line is a good and cleverly worked out detective novel with a splendid and original alibi-trick. The setting and cast of suspects consisting of a group of crime fiction readers, who use detective-themed nicknames, makes the book highly recommendable to readers who enjoyed Ayatsuji's The Decagon House Murder and Lovesey's Bloodhounds. 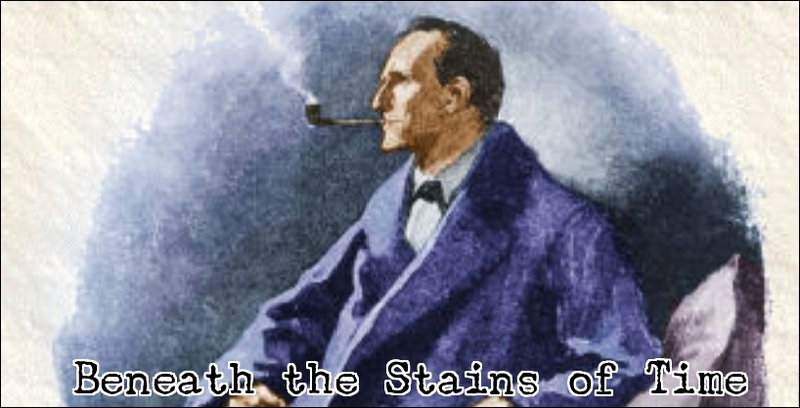 A great companion piece to those two mystery novels. Thanks for the review. Very interesting, I have read almost all kindaichi manga, but did not know that the light novels had been translated into English. Hope that someday they will be reprinted. Also looking forward to your Q.E.D. review. The problem with the English translations of the light novels is that they were published in the late 90s. So nobody over here really took note of them. I believe there were some Western anime/manga fans at the time, but this was before the boom of the 2000s and classic mystery readers only became somewhat aware of Kindaichi when TokyoPop began to publish the original manga series in North America. So these four translations were completely overlooked when they first appeared and would like to see them get republished. I'm sure they'll better the second time around. If only for the fact they now have a bigger core audience with an unfortunately too small overlap of mystery readers. These books were not really intended for the international market, but for the Japanese audience (learning English). Hence the vocabulary lists etc. at the end of the book. i was VERY disappointed when zaregoto wasn't fully picked up for localization; doubly i might add. the first with the del rey localization, and a second time just recently when vertical picked it up. i had high hopes after the season 1 anime got released. oh well. one day. maybe. Who knows? Vertical might continue the series now they reprinted the first two books. Here's hoping! You might like to know I reread The Kubikiri Cycle and the review is coming later this month. What's weird is that NiSiOiSiN is one of the more popular Japanese writers outside Japan nowadays among the YA audience nowadays thanks to the many succesful anime adaptations of his series (especially the Monogataris), so you'd think someone, anyone would proceed with the Zaregoto novels. Vertical is currently publishing another one of his series, Sword Tale, which comes on top of the two revised reprints of Zaregoto with new art-work by Take. I think this is a possible indication that further translations of Zaregoto are in the work. After all, why revise the original translation and include new art-work, if you have no further plans with the series? Again, here's hoping! Wasn't aware these books jumped in value. When I got the four of them, probably about ten years ago, they were already OOP, but not particularly expensive (I think around ten euros each?). Heck, I even got a double copy of the English novel of the second Opera House Murders and gifted it away. Kodansha did reprint their bilingual versions of the Kindaichi Case Files manga some years after their initial release by the way (of which The Amakusa Treasure Hunt Murders is part of the stories not released by Tokyopop in NA), though no reprints for the novels. Practically all of the novels have been adapted for the anime by the way. Only the last novel never got any adaptation. The first novel (the second Opera House Murders) and Deep Blue Massacre served as the source material for the two animated theatrical features, while the rest has been made part of the original animated TV series. Heck, Deep Blue Massacre was even adaptated *again* as a TV serial. The anime also included adaptations of the short stories (as in: prose stories, not manga). You mentioned that these books were not intended for the international market and remember reading that these educational stories were bilingual, containing both the original Japanese text and the English translation, but had no idea this series fell in the same category. Just assumed they were light novels. This is as good an excuse as any to finally dip into the '97 anime-series. I think it's unlikely The Shanghai River Demon's Curse and Deadly Thunder are getting reprinted any time soon. So the anime adaptation is a good an alternative. I assume they're just as good as the books/manga? Yes! I always love it to come across a good, cleverly plotted detective story that shatters the absurd idea that a modern, technological advanced world has made the traditional, plot-driven detective story obsolete. A good plotter knows how to take advantage of new technologies and forensic science. Loved it! The motive was certainly darker here than most of the manga/anime series. There were some pretty dark back-stories in those series/adaptations, but not to the extend of Murder On-Line. Combine that with the excellent plot, alibi-trick and setting, you have a mystery novel that GAD reader should definitely take note of. And the already insurmountable back-log continues the grow even further. I wasn't expecting that you would dip into the light novels, so this review came as a pleasant surprise. :D I have thus far only read the 'Shanghai Mermaid Murders', which I enjoyed; the movie adaptation was good too. I didn't know the English translations of these novels were available - I tried scouting around a few years ago, and only managing to procure 'Second Opera House Murders'. And so I purchased the rest in Chinese. I told you my reading of this series was all over the map, but glad you liked it. And good to know the adaptation of Shanghai is a good one. The 1997 anime is probably going to be one of my next stops in the series and might start with that particular story.